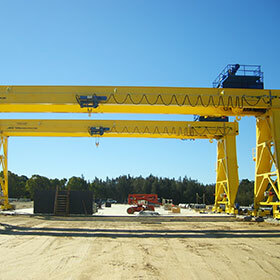 From crane design, manufacture, installation and service, this is what we do, and what we’re known for! 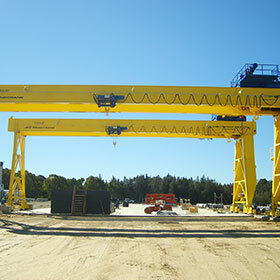 We don’t just profess to be overhead crane experts, we really are! 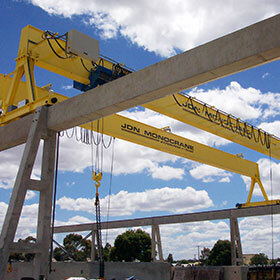 With nearly 35 years experience in providing lifting equipment and moving solutions to businesses right across Australia and New Zealand, JDN MONOCRANE are the leading suppliers of cranes and crane parts. Hyperspeed is a cost saving solution which increases hoisting speeds therefore providing increased capacity. i-Glide significantly minimises potentionally dangerous hook sway and increases the brake life of the hoist. Planet is a cost saving and environmentally friendly technology, which significantly decreases power costs of the hoist and reduces green emissions. Sentinel is a new, cost effective technology, which monitors duty, service and operation of your hoist offering peace of mind. 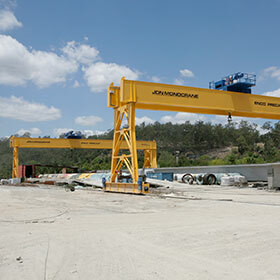 Working with small businesses right through to multinational companies, JDN MONOCRANE can tailor a solution to suit you. Our customers come from many different industries such as mining, building and construction, petrochemical, manufacturing, ports and shipyards, steel and automotive. 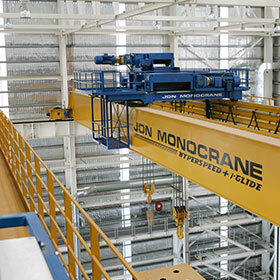 At JDN MONOCRANE we understand that each customer is faced with different challenges whether they are budget constraints, strict compliance requirements and competitive pressures. We are here to work with you to develop crane solutions that won’t just keep you in the game – but hep you stay ahead of the game as well! 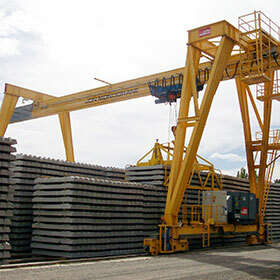 Our cranes are also manufactured to Australian quality standards, are competitively priced and we also offer ongoing maintenance services so that your overhead crane is performing safely and in line with legislation and quality assurance guidelines. 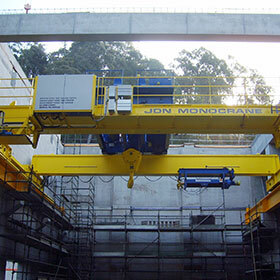 Like all JDN MONOCRANE products, our overhead cranes and gantry cranes can be designed and manufactured to suit your individual requirements and delivered with a fast turnaround and a superior, cost effective solution. We make finding the right overhead crane, or developing the right crane, so easy and fuss-free that you won’t need to go elsewhere. 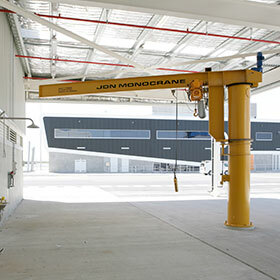 Whether you are looking for simple and effective electric overhead cranes, gantry cranes and JIB cranes, to an extensive range of spreader beams and attachments to, light crane systems and workstation cranes – JDN MONOCRANE has what you’re after. And if we don’t, we’ll tailor a crane solution that’s right for you. Our highly qualified team of engineers and technicians are the best in the business and are always up for a new and challenging project! 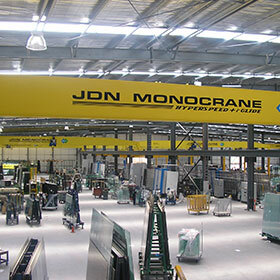 Whether you’re looking for a quote for an overhead crane or have further questions about our tailored solutions, contact JDN MONOCRANE now on 1300 666 272. We’ll help you save time, save money and deliver a crane that helps your business become more productive and more importantly – more profitable!